nearby Red Sea and serve as an emergency alternative to Tel Aviv’s Ben-Gurion airport. 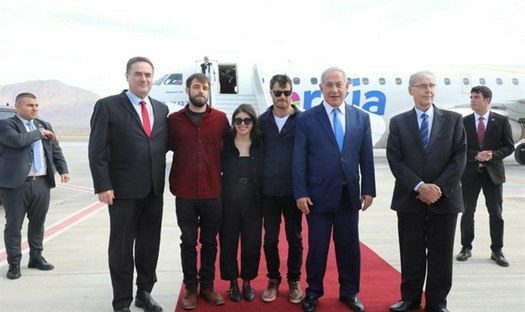 Prime Minister Binyamin Netanyahu attended the inauguration ceremony at the sleek, glassy terminal, arriving on the ceremonial first flight. “Ramon airport, this is Arkia 683, we’re very excited,” Netanyahu said from the cockpit on arrival in an exchange with the tower relayed over loudspeakers. 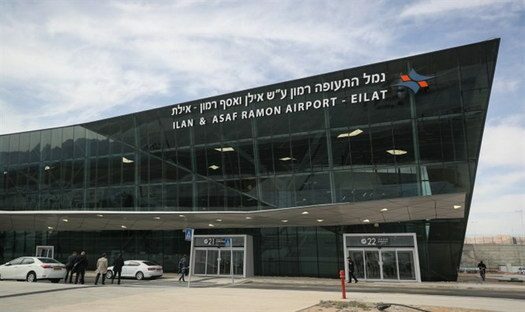 Initially Ramon Airport will handle only domestic flights, operated by Israeli carriers Arkia and Israir. It says that it has a 3,600-meter-long (11,810 foot) runway and apron parking space for nine “large and wide-body aircraft”. Ramon is about 18 kilometers (11 miles) from the Israeli Red Sea resort of Eilat and the adjacent Jordanian port of Aqaba. Low-cost and charter airlines currently flying to Ovda airport, about 60 kilometers (37 miles) from Eilat, will move to Ramon, its website says. The new airport will also replace Eilat’s small municipal airfield, where for decades arriving aircraft have swooped past hotel towers. 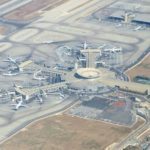 After a rocket fired by Hamas terrorists in Gaza hit near the perimeter of Ben Gurion airport in 2014, international carriers suspended flights. Israeli media have said that a 26-meter (85 foot) high, 4.5-kilometer (2.8 mile) long “smart” anti-missile fence has been installed to help protect Ramon, which is adjacent to the border with Jordan.